Vtech, Hello Barbie and CloudPets are the most recent toys identified as having been hacked or having major security flaws, and therefore exposing a huge amount of personal information. The question is, how does this happen? When parents connect toys to their Wi-Fi, they set up accounts in their children's names. That information is then breached -- we're talking about your kids names, birthdates, pictures, and in some toys, their voices. 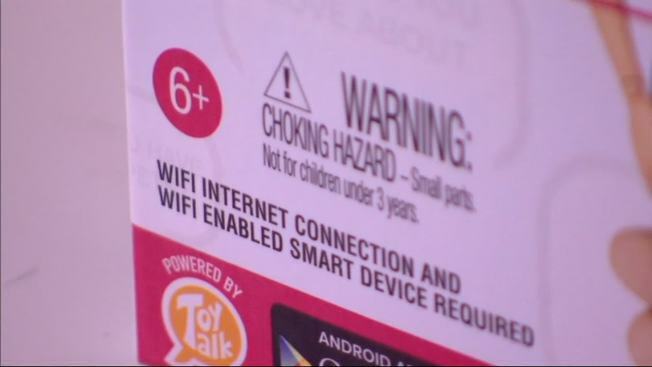 Identity theft experts said Wi-Fi-connected toys are especially targeted because most of them are not as secure as other devices -- allowing malware to easily get in. "Unfortunately that connection can be breached, it can be compromised. There's malware that actually floats through the Internet looking for weakly secured devices," said Adam Levin, of CyberScout. Find out what data the device collects. Figure out how it's being stored and who has access to it. If there's an option to opt out, you may want to consider doing so. Make sure your Wi-Fi is secured.